The most prestigious cemetery in Paris dubbed as necropolis is one that attract millions of visitors annually. Père La Chaise was formerly referred to as Cemetery of the East. One of the reasons Père La Chaise was so popular until this date was because of the people buried here. Big names throughout the era are known to have resided in the cemetery complex. Famous historical figures that contributed to the arts and musics such as Oscar Wilde, Jim Morrison, Édith Piaf, and many others were buried in the fascinatingly morbid palace complex of Père La Chaise. It’s a good spot for an afternoon walk. Walk through the many tombs and gravestones. To some, a walk in the cemetery is an excellent way to have that bit of peace. Without the hustle and bustle of civilization, you can hear the sound of the nature better. Trees swayed by the wind, the occasional chirp of bird, insects singing through the peaceful afternoon. It’s a perfect way to spend an afternoon if you need some peace and quiet. Pere La Chaise is gorgeous whatever time you pick to visit it. However, do be aware of inconvenience that climate may cause. Spending an afternoon walk in the rain is not going to give you a very peaceful time after that when you catch a cold. So make sure to plan it well so you can get the most out of your time in the gorgeous cemetery complex. Various architectural styles reflected on the graves can be observed from the walk through of Père La Chaise. Among them, there are Baroque, Gothic, Eclectique, Neo Baoruq, Neo Byzantine, Neo Classical style, etc. It’s a fascinating journey that lets you observe through everything in a single place. You may think “I’m just visiting a cemetery, what’s the big deal”. You’ll probably be leave unsatisfied because of the shortage of time you had, or because of other circumstances. The cemetery is huge. Setting aside time for this particular activity is highly advised. Find a map so that you’ll have a general direction on which way you should go. If you’re keen on visiting a particular figure buried in the cemetery, then it’s best to take find out in advance where she or he is buried. Because of the sheer size of the place, it’s easy to get lost when trying to find the cemetery’s resident you’re looking for. Getting lost in the cemetery isn’t any fun if you’re actually lost or hurried because of unforeseen circumstances. Many people have described the experience of visiting the graves in Père La Chaise something of a spiritual experience for them. Spend a fine afternoon in Paris going through the winding path of the cemetery complex. 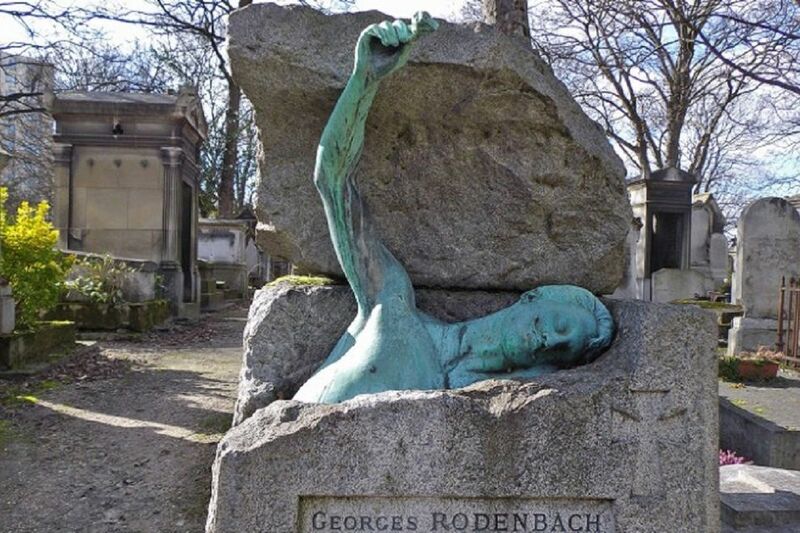 If you wanted to find certain famous figures who are buried in Père La Chaise, then make sure to get a map to help you navigate the cemetery and find the tomb you’re looking for. Unlike the case with Oscar Wilde’s grave, some of the tombs are actually inside a family grave complex and it won’t be seen from the first glance. Most of the crowd visiting Père La Chaise are usually coming for the famous people buried in this place. If you’re taking the less visited roads, you’re going to find a more peaceful walk inside the city of the dead. The perfect day to have a walk and a place to strike a pleasant conversation.